For premium home water filter systems, there is no better company to trust than RainSoft. 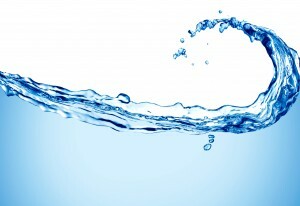 Since 1953, RainSoft has been providing the latest in home water filtration systems to customers around the world. Our whole house water filtration systems use state-of-the-art technology to help make good water better. These systems, also known as problem-solving filters, are each designed to remove a specific type of unwanted chemical or mineral from your water. For example, our OxyTech Filters are recommended for customers who have difficulties with excess iron in their water supply, which can cause rapid oxidation, unsightly rust stains, and other problems. When you contact an authorized RainSoft dealer in your area, we will test your water during our complementary initial consultation, which will allow us to find the source of your water problems and install the ideal filtration system to correct them. Furthermore, our home filtration systems are often installed in conjunction with RainSoft’s cutting-edge water conditioners and drinking water systems. The whole-house filtration system is installed in your plumbing first, removing problem chemicals and feeding the cleanest water possible into the water conditioner, which then removes water-hardening elements like calcium and magnesium to provide soft water throughout your entire home. Finally, the water passes through one of our top-notch drinking water systems, which completes the purification process to provide you with fresh, great-tasting drinking water right at your kitchen faucet. To learn more about how our home water filter systems can improve the water quality in your residence, contact RainSoft today. In addition to our excellent water filtration systems for home use, we also install air purification systems in homes throughout the world.